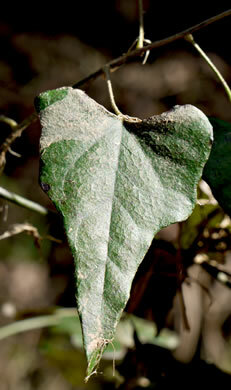 Leaves palmately veined, not peltate, glabrous above, pubescent beneath, per Vascular Flora of the Carolinas. 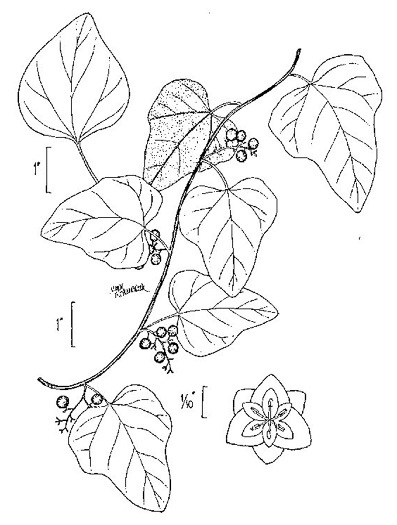 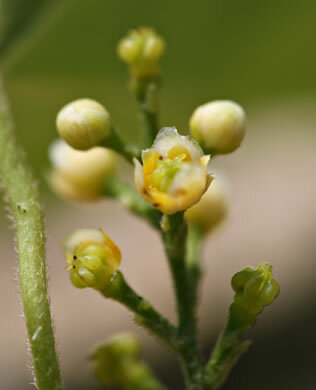 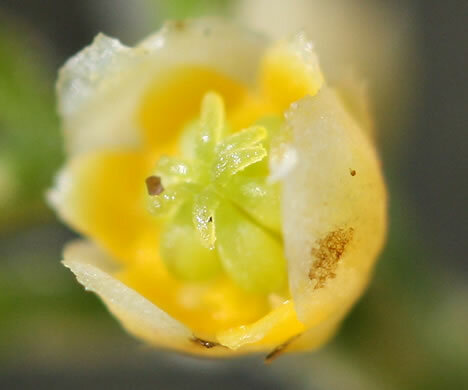 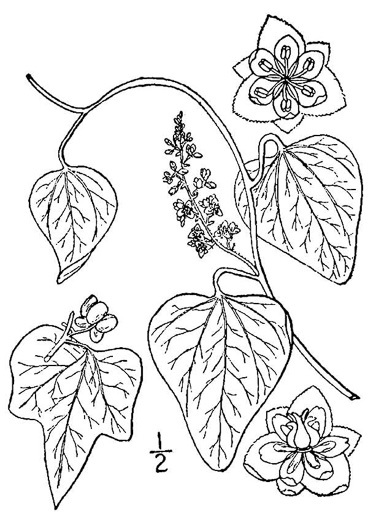 Sepals and petals 1-2mm long, per Vascular Flora of the Carolinas. 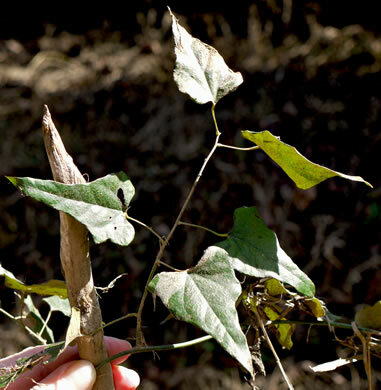 Staminate panicle to 15cm long, pistillate much shorter, per Vascular Flora of the Carolinas. 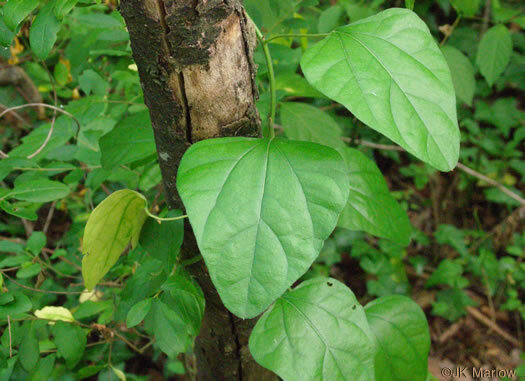 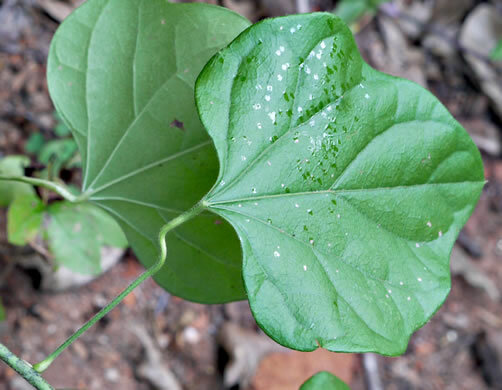 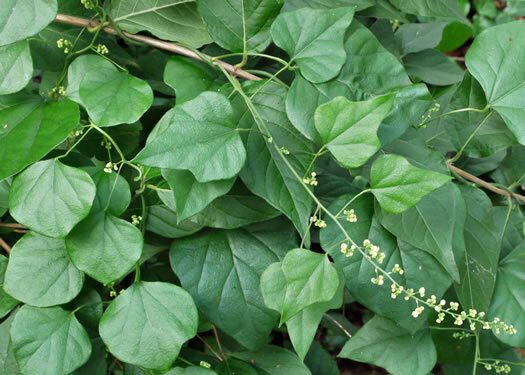 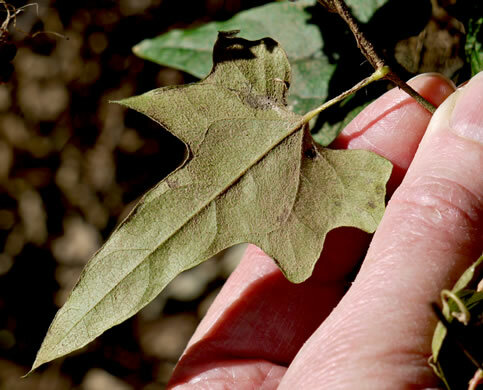 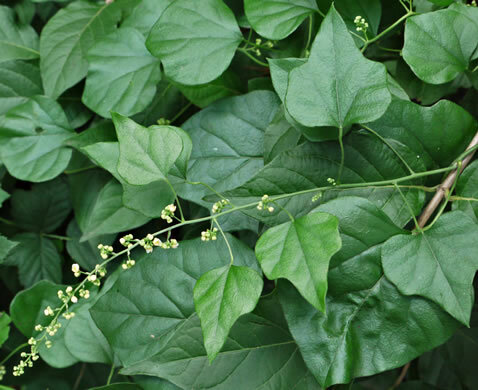 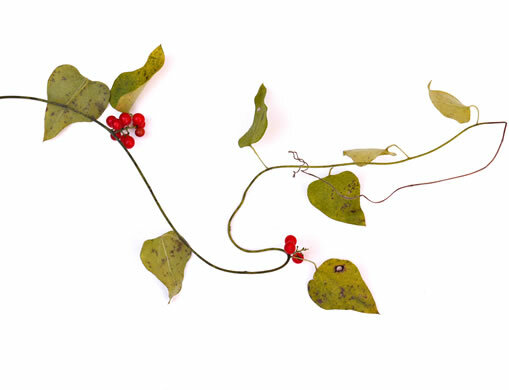 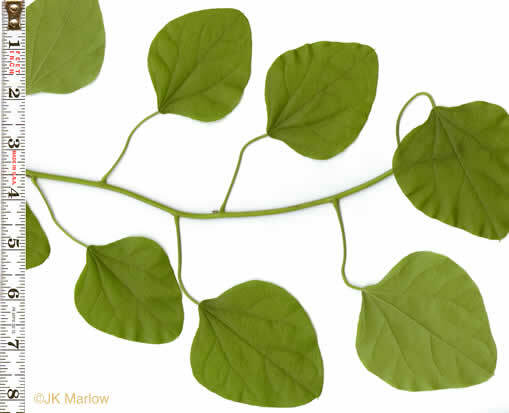 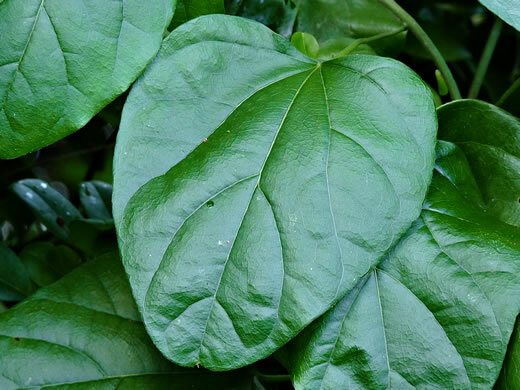 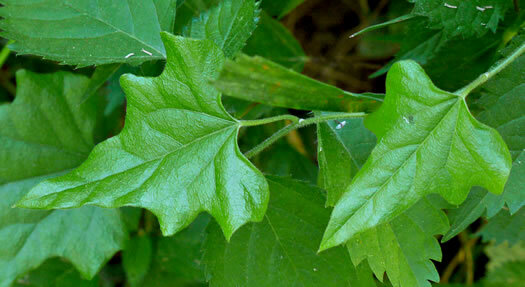 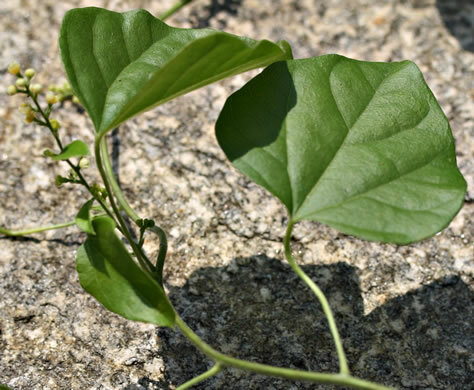 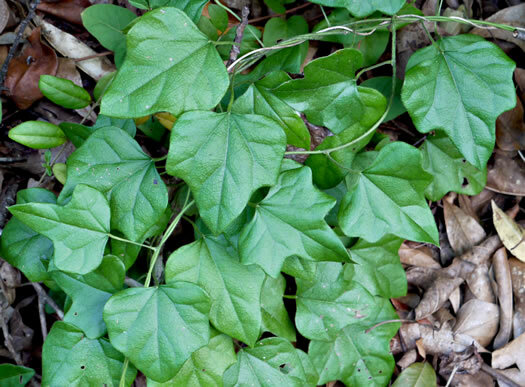 Leaves variable in shape and lobing, per Woody Plants of the Blue Ridge. 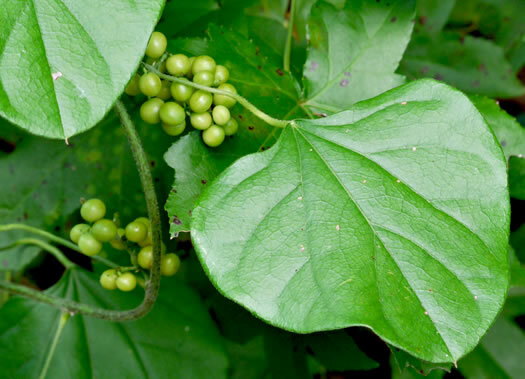 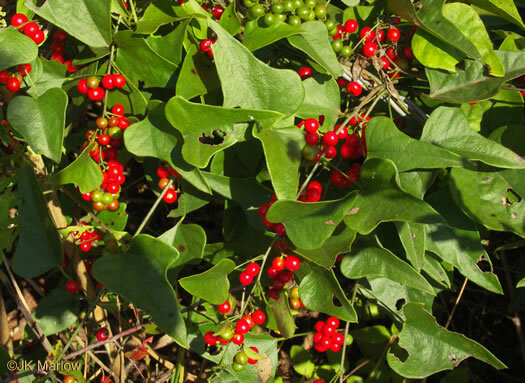 Wildlife eat the glossy bright red berries, which are poisonous to man, per Gardening with the Native Plants of Tennessee. 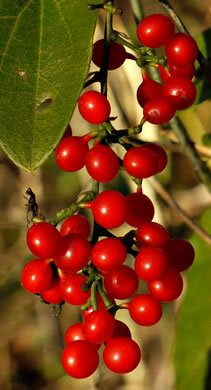 Fruit a red drupe, borne in small axillary clusters, per Woody Plants of the Blue Ridge.